How different are women from men, when it comes to using—and misusing—opioids? More different than you might think, it turns out, according to CDC Vital Signs, a publication of the Centers for Disease Control and Prevention. Women are more likely than men to have chronic pain, and to use prescription opioids for longer periods, in higher doses. They also tend to become physically dependent on opioids more easily than men, even after using smaller amounts for shorter periods. The outcomes of opioid use and misuse reflect women’s greater susceptibility. Between 1999 and 2010, overdose deaths from prescription pain killers increased 237% among men, but the rise was far higher among women—more than 400%. The situation with heroin usage is similar. CDC Vital Signs indicates that between 2002 and 2013, heroin use rose 50% among men, but it increased 100% among women. These examples are from a new 35-page report, White Paper: Opioid Use, Misuse, and Overdose in Women, published in December by the Office on Women’s Health (OWH), U.S. Department of Health and Human Services (HHS). This article summarizes the White Paper and highlights important data about women and opioid use and misuse. Contents. The White Paper opens with a description of the opioid epidemic and the three areas of the HHS Opioid Initiative (see table), then moves on to prevention and treatment of opioid use disorders (OUDs). 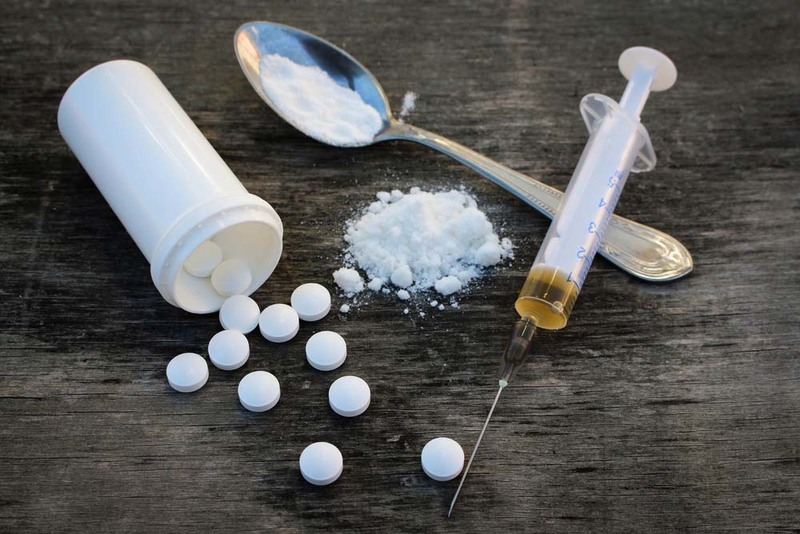 In addition to citing data, the White Paper highlights factors involved in a woman’s path to opioid misuse, among them life experiences, biological and social influences, geography, and demographic characteristics. Purpose. The White Paper was commissioned to educate enrolled participants in advance of a September 2016 HHS-OWH national meeting. The goal of the meeting was to prepare participants to understand the impact of the opioid epidemic on women, across age, race, geography, and income, and to issue a post-meeting report on possible solutions to some of the problems discussed in the White Paper. Why do women behave differently from men when it comes to opioids? 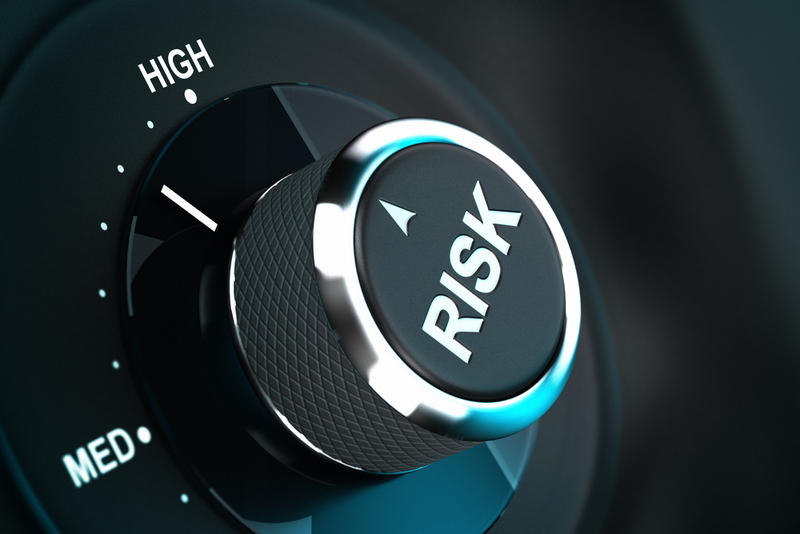 Psychological differences, such as women’s more intense opioid cravings, account for some of the riskier behavior. While both sexes are susceptible to psychological and emotional distress, a key difference exists: these distresses are actual risk factors for hazardous prescription opioid use in women, and only in women, studies show; men react to these distresses in other ways. SAMHSA data (2015) reveal that 4% of females ages 12 and older misused prescription pain relievers during the previous year. Because misuse often leads to involvement of the health care system, it’s not surprising that, CDC data show, every three minutes another woman visits an emergency department because of prescription painkiller misuse. Women with a substance use disorder are at increased risk of injection drug use, which can lead to viral hepatitis or to HIV. From 2010 to 2014, new cases of hepatitis C among women rose more than 260%—with substance use in part responsible. Younger women risk transmitting the infection to their infants—yet many, serving as caregivers and lacking childcare options, find it difficult to arrange for treatment for their disorder. Few data exist on preventive measures for women, and studies tend to involve substances other than opioids. The tendency of women to quickly become physically dependent on opioids, mentioned earlier, involves several physiological differences that exist between men and women: metabolic rate, hormone levels, and percentages of body fat. With the risk of opioid-related harm higher in women, investigators see screening and early intervention as key steps in helping to protect women from OUDs and overdoses. Between 2008 and 2012, more than one-third of Medicaid-enrolled women aged 18-44 and more than one-fourth of privately insured women in the same age group were prescribed opioids. 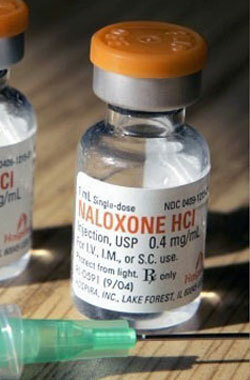 Naloxone offers potentially life-saving treatment, but is under-used in women. A 2016 study found that men were almost three times more likely than women to be given naloxone in resuscitation efforts. With a nasal spray and an auto-injector formulation now available, perhaps more women who need naloxone will be able to obtain it. Despite “overwhelmingly positive” evidence that MAT is effective, and a recommendation from the CDC that patients with an OUD be offered MAT, each year only 20% of adults—men and women—with an OUD receive MAT. The barriers: cost, access, and stigma. Many women with an OUD lack the financial and child-care resources available to other women. Even those who can find affordable treatment and decide to enter a program may have problems arranging for child care. In response to the increasing impact of the opioid crisis on women, the HHS OWH held a national meeting on September 29-30, 2016. The meeting convened a national conversation on how best to address some of the problems described in the White Paper. AT Forum will check with HHS OWH later regarding its findings and recommendations, and, if appropriate, will publish a follow-up article. 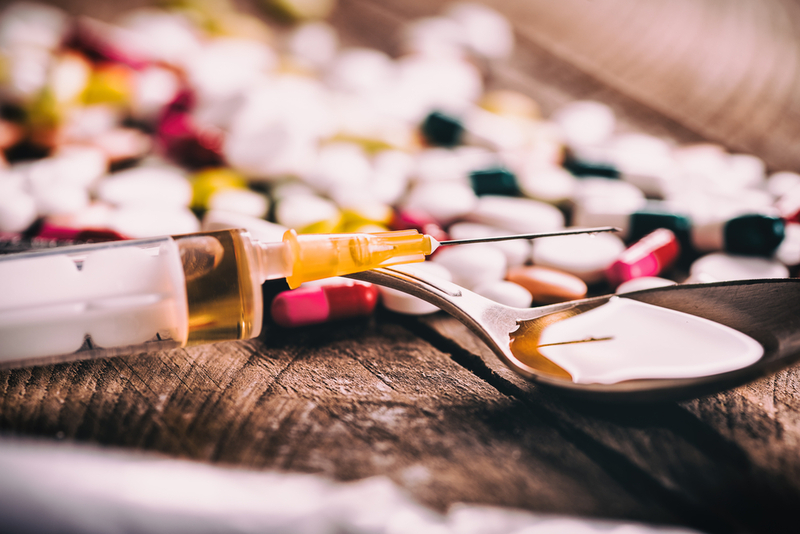 AAFP Supports Turn the Tide Rx Campaign to End Opioid Abuse. August 9, 2016. American Academy of Family Physicians Web site. http://www.aafp.org/news/health-of-the-public/20160809turntide.html. Accessed April 12, 2017. Anson P. Post-Surgical Pain Guidelines Reduce Use of Opioids. Pain News Network Web site. February 18, 2016. https://www.painnewsnetwork.org/stories/2016/2/18/guidelines-for-post-surgical-pain-discourage-use-of-opioids. Accessed April 12, 2017. CDC Vital Signs citing National Survey on Drug Use and Health 2002-2013. http://www.cdc.gov/vitalsigns/heroin/index.html#modalIdString_CDCImage_0. Accessed April 12, 2017. Center for Substance Abuse Treatment. Chapter 13 – Medication-Assisted Treatment for Opioid Addiction During Pregnancy. In: Center for Substance Abuse Treatment. Medication-Assisted Treatment for Opioid Addiction in Opioid Treatment Programs. Rockville, MD: Substance Abuse and Mental Health Services Administration (US); 2005. (Treatment Improvement Protocol (TIP) Series, No. 43.) http://www.ncbi.nlm.nih.gov/books/NBK64148/# 6. Chou, R. et al. Management of Postoperative Pain: A Clinical Practice Guideline from the American Pain Society, the American Society of Regional Anesthesia and Pain Medicine, and the American Society of Anesthesiologists’ Committee on Regional Anesthesia, Executive Committee, and Administrative Council. J Pain. February 2016, Volume 17, Issue 2, Pages 131-157. http://www.jpain.org/article/S1526-5900%2815%2900995-5/fulltext#back-bib18. Accessed April 12, 2017. Substance Abuse and Mental Health Services Administration. Managing Chronic Pain in Adults With or in Recovery From Substance Use Disorders. Treatment Improvement Protocol (TIP) Series 54. HHS Publication No. (SMA) 12-4671. Rockville, MD: Substance Abuse and Mental Health Services Administration, 2011.